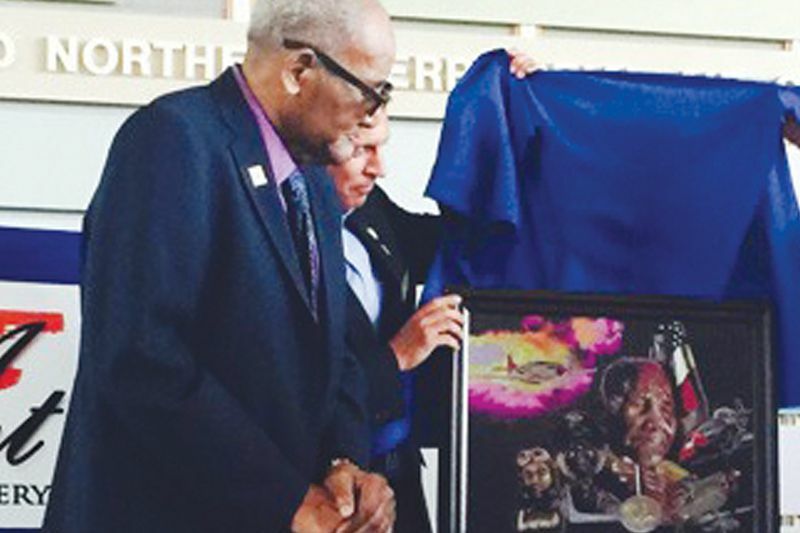 ST. PETERSBURG — 100-year-old Tuskegee Airman Willie Rogers was honored last Wed., Aug 19 with a portrait unveiling at the St. Petersburg Museum of History, 335 Second Ave. NE, St. Petersburg. Master Sergeant Rogers was drafted in February 1942, but not before earning a college degree from Claflin College of Agriculture and Mechanical Institute. He joined the Tuskegee Airmen, which is the name later given to the first African-American military aviators and crewmembers in the United States Armed Forces. Black people were considered not intelligent enough to fly planes, so a group of pilots bent on proving their worth flew in a makeshift plane with borrowed money from Chicago to Washington, D.C., in order to speak with then Senator Harry S. Truman. 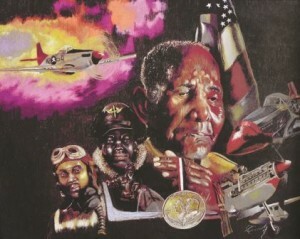 Following World War II, Rogers and other war heroes returned from Europe and was met with Jim Crow laws. Their role in the history of this country was swept under the rug until 2007 when President George W. Bush presented the surviving members of the Tuskegee Airmen with the Congressional Gold Medal. The military has come a long way since he served, Rogers said. After the war he moved to St. Pete, and opened up Rogers’ Radio Sales and Services. He now lives near downtown in Burlington Tower, where he celebrated his 100th birthday this past March with the community. Every Sunday morning Rogers can be seen walking to church services at Bethel AME, which is near his home. But last Wednesday, tears were seen running down his cheek when the painting, done by Greg Crumbly, was unveiled in front of community. Delighted that his service has not been forgotten, Rogers feels that the painting will help his family remember what he did for his country. This father of two, grandfather of four and great-grandfather of three was joined by his 91-year-old baby sister Gertrude Glover from Mulberry to celebrate his life. Clinton Glover, Rogers’ nephew, said his uncle might be up in age, but is happy to regale anyone who listens with war stories, such as witnessing the aftermath of Nazi Germany. Rogers truly defines what it is to be an American hero. He has earned his place in history exemplifying fortitude and freedom for all humanity.